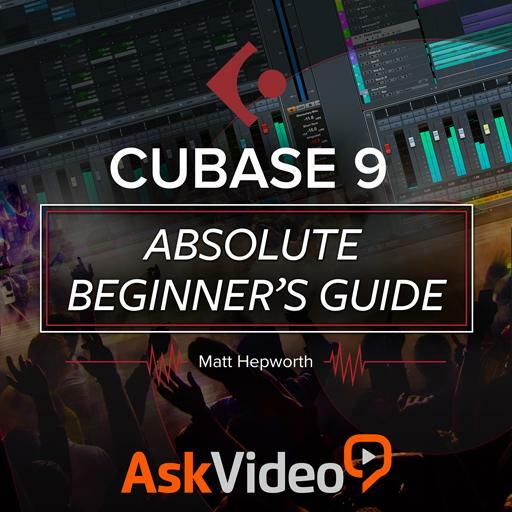 Cubase 9 101 - Absolute Beginner's Guide. Other than faders, what else can you view in the Lower Zone MixConsole? Which common track type does NOT use MIDI? How many tabs are found at the bottom of the Lower Zone? Which monitoring method provides zero latency? Which MediaBay destination holds all the factory Cubase media? Which key on the keypad is used to move the cursor to the Left Locator? Which ports on an external instrument must be connected to your audio interface? What are the key commands for zooming in and out? Which menu also has the Add Track command? In which MediaBay category will you find pre-recorded drum beats? Depending of the width of the Right Zone, the Home button might turn into what icon? Which key command opens/closes the full MixConsole? Which key on the keypad is used for RECORD? What icon should you click on in the Inspector to reveal the VST Instrument control panel? How many precount bars are defined by default? What is the key command to Quantize a selected event(s)? What is another name for VST Instruments? Which quantize setting allows you to retain some of the human timing? Which project location setting does the author recommend? Into which device should the speakers (studio monitors) be connected? In MIDI, what name is given to how hard a note is played? What handles are found at the top of an audio event? What are the two types of VST Instruments in the Right Zone?